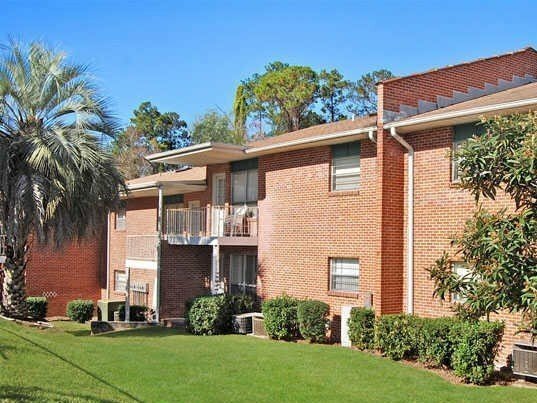 Georgetown Apartments near the University of Florida in Gainesville, Florida offer recently renovated and spacious 2 and 3-bedroom apartments to students and professionals. Residents with roommates will enjoy the convenience of living at Georgetown Apartments in Gainesville, Florida. 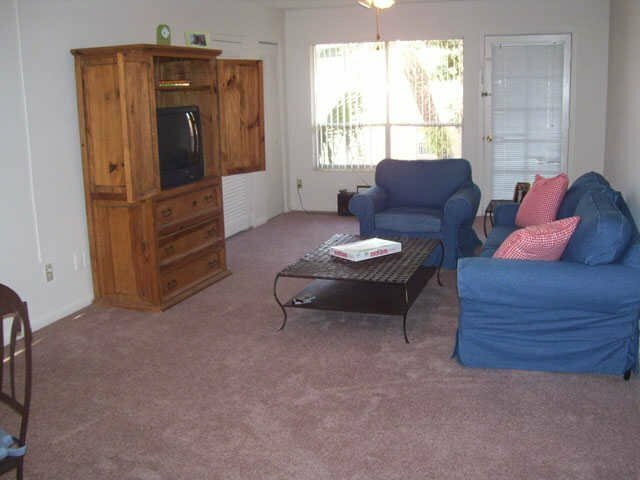 The 2 and 3-bedroom apartment community has easy access to the northern edge of the University of Florida. Students without a car who live in Georgetown Apartments will love being able to walk to their classes. They can reach a class at Tigert Hall in about 20 minutes on foot, or they can catch a performance at the University Auditorium in only a 30-minute walk. For days with bad weather, the 10 bus conveniently stops right outside of Georgetown Apartments, and it can take residents to campus in under 10 minutes. When residents need a break from worrying about class, a great night life is right around the corner from Georgetown Apartments, ensuring that those who live in the community can enjoy an active social life. West University Avenue, the hub of Gainesville nightlife, is just a 15-minute ride on the 10 bus. Once at West University Avenue, residents can sample craft brews and enjoy live music at Mother’s Pub and Grill, or they can meet up with friends for some American eats at the trendy The Top restaurant. Regardless of tastes, everyone will find something that appeals to them. For those residents who prefer to relax and unwind away from the busy bar scene, there are plenty of quiet places right around the corner from Georgetown Apartments. The highly-rated Zen Nails and Day Spa is a 2-minute walk from the community for those days when a facial or manicure is required. If residents find themselves wanting to update their hairstyle, the Studio Christopher Salon is also walking distance from the community and is guaranteed to keep visitors looking sharp. If a change in hairstyle is not enough, residents can shop for their new look at the One Thread Boutique in the area as well. 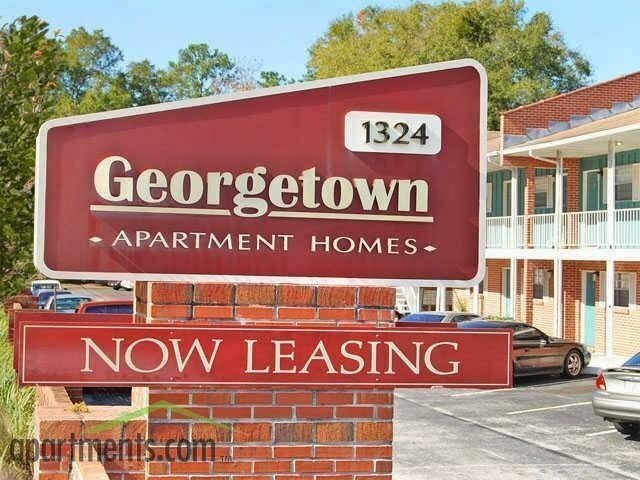 Georgetown Apartments offer a number of amenities to ensure its residents’ comfort. 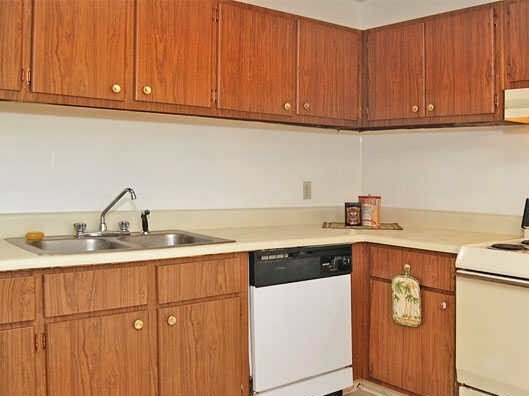 The entire community was recently renovated, and now each unit has new carpeting, new tile and granite countertops to let residents live in style. Residents can take advantage of great community amenities such as the renovated pool and laundry facility, and since the community is pet-friendly, residents can bring their furry friends with them. With the recent renovations and the convenience of classes and plenty of fun, Georgetown Apartments are a great choice for students of the University of Florida.